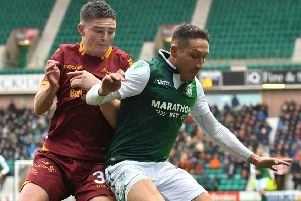 Hibs youngster Sean Mackie could be forgiven for feeling trapped on a treadmill, constantly having to prove himself to a succession of managers. Having made a first-team breakthrough under Neil Lennon, he has found himself having to catch the eye all over again in the past month following the arrival of Paul Heckingbottom as head coach. And this weekend he’ll have yet another “gaffer” to impress, Scotland Under-21 coach Scot Gemmill after having been drafted into the international set-up for the first time. Games against Mexico and Sweden to be played in Marbella will be part of the young Scots’ preparations for the next stage of their European Championship qualifying campaign later in the year, something, admitted the 20-year-old, he’s desperate to be part of. International recognition, however, has come as something of a surprise, Mackie revealing his entire focus since enjoying those first few precious moments of top-flight action against Aberdeen at Pittodrie in early November having been on becoming a first-team regular. “It’s not quite like going back to the beginning, but with a new gaffer coming in you have to impress him enough to get him to trust you and play you,” he said. Having said that, Mackie had enjoyed only a few minutes at the end of that 2-1 win over St Johnstone to show for his efforts until an injury to skipper David Gray gave him an extended opportunity to showcase his talents, helping Heckingbottom’s players to take their unbeaten run in the Premiership to five matches, a 2-0 win over Motherwell making if 13 points out of a possible 15 as they tightened their grip on a finish inside the top six. And that experience allowed him to join team-mate Oli Shaw as they reported for duty with the Under-21s with a spring in his step. He said: “I knew at half-time there was a chance I would be going on because David was struggling. It was arguably our biggest match of the season in terms of getting into the top six as Motherwell are our closest challengers. A booking for his first tackle put Mackie under pressure but he shrugged that aside to put in an assured performance. “You obviously have to watch what you are doing to avoid being sent off but I felt I did okay. I started off simply giving the ball to Flo Kamberi in front of me but I felt I grew into the game, got myself into good areas and helped to create a couple of chances so I was pleased. “It was also good to get some game time and such a big win before going away with Scotland, it boosts our confidence. “I’ve never been called up at any age level before so it came as a bit of a surprise. I wasn’t really thinking about it, my focus was on getting my chance at Hibs. I was actually on the bus with the development squad going to play St Mirren in Paisley when one of the boys congratulated me. He’d seen it on Twitter. “Then my phone started pinging with people sending me messages. “I was buzzing. Now I am looking forward to the experience of going away with Scotland and, hopefully, getting some game time. “I’ve never spoken to Scot Gemmill before but I’m sure I’ll be learning something new from working with him and then the games against Mexico and Sweden who’ll, I’d imagine, play a totally different style of football to ourselves. Mackie is just one of seven Hibs players away on international duty over the coming week or so, a sign he claimed of the upward trajectory the Capital club have enjoyed since the arrival of Heckingbottom. Striker Marc McNulty, like himself, will be sampling the international arena for the first time, his goals earning him a place in Alex McLeish’s Scotland squad for the Euro 2020 games against Kazakhstan and San Marino while goalkeeper Ofir Marciano has been recalled by Israel for their matches with Slovenia and Austria. Vykintas Slivka is also on Euro 2020 duty with Lithuania as they face Luxembourg and Azerbaijan; Stephane Omeonga is in the Belgian Under-21 squad which will play Denmark and Gael Bigirimana is in Burundi for their Africa Nations Cup clash with Gabon. 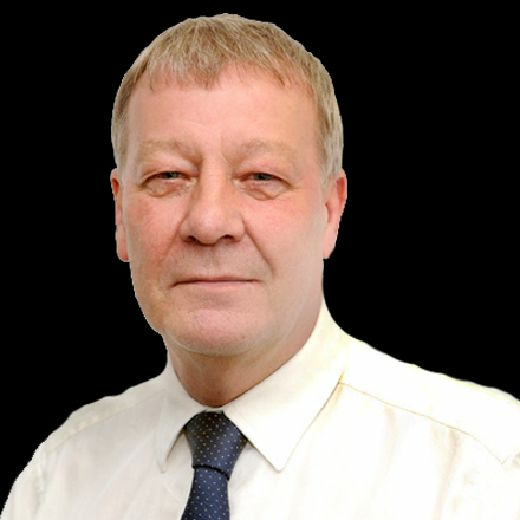 Mackie said: “It’s been a fantastic run since the new manager has come in. At that stage, we were eighth in the table, five points off sixth place but now we are in the top half, five points clear of Motherwell and with only three games to go before the split and only two points behind Hearts. It’s been quite a turnaround. Heckingbottom has done so with a threadbare squad, long-term injuries meaning he has yet to see the likes of Ryan Gauld, Adam Bogdan, Steven Whittaker, Thomas Agyepong and Darnell Johnson in action. His options were further depleted for the visit of Motherwell by a one-match ban which sidelined Darren McGregor, forcing veteran Australian internationalist Mark Milligan into central defence alongside Paul Hanlon while, other than Marvin Bartley, the bench was packed with academy players. Bartley, himself returning from a lengthy injury lay-off, joked afterwards that he felt as if he was baby-sitting given the youth of those alongside him but, insisted Mackie, it was yet another indication of the talent coming through at Easter Road where the Under-20s won both league and cup last season.